Conservative talk radio giant Rush Limbaugh suggested Friday that the U.S. may be "on the cusp of a second civil war" as the country contends with new racial tensions following the violence in Charlottesville, Va. last weekend. "America is under attack from within," Limbaugh told his listeners, according to a transcript. He warned that now, more than ever in his life, is "our culture, our history, our founding" under assault. "And I'm sure it's the same with you," he said. "We haven't seen anything like this. You might even get away with saying that we are on the cusp of a second civil war. Some of you might say that we are already into it, that it has already begun. However you characterize it, though, we are under attack from within. And it's being bought and paid for by people from outside America, in addition to inside." Limbaugh's comments come after last weekend's violence in Charlottesville, Va., where counter-protesters made an appearance and clashed with white supremacy and neo-Nazi groups protesting the removal of a Robert E. Lee statue. A car plowed into a group of counter-protesters leaving one dead and more than a dozen more injured. President Trump has faced bipartisan criticism for his remarks regarding the violence in Charlottesville, as he initially failed to rebuke white supremacist groups and neo-Nazis. On Monday, he did condemn these groups by name, going further than his first statement Saturday, but on Tuesday he doubled back to say there is "blame on both sides." Limbaugh blamed left-wing hedge fund billionaire George Soros and other "international financiers" who are working towards the "objective" of taking the U.S. "out and down as a superpower, to literally erase the United States as a powerful or super powerful nation." As political leaders accross the country have called for the removal of Confederate monuments in the wake of Charlottesville, Limbaugh called on Americans to defend its historical symbols. "Now, folks, in order to defend America, which I believe is incumbent upon all of us, in order to defend America, you have to begin knowing our history," Limbaugh said. "If you're gonna defend the United States of America, you have to know our history. You have to know the purpose of the United States of America. You have to know unequivocally and proudly the United States' place in history. And that is why erasing and distorting our history is crucial for the left to succeed." Limbaugh accused the left-wing protesters in Charlottesville, as well as "Antifa" activists demonstrating in other flash-point events in places like Baltimore and Ferguson, Mo., with an agenda to "distort, erase, and impugn our history." This guy telling it straight! It was a "set up" in Charlottesville. 6 Charter buses, same company, back to back in an alley. At about 11:40 am on the morning of August 12, the first amendment to the US Constitution came to an end. There is no funeral march, no lengthy epitaph, no newspaper for it to board an obituary, no one at the grave for her to say good words. 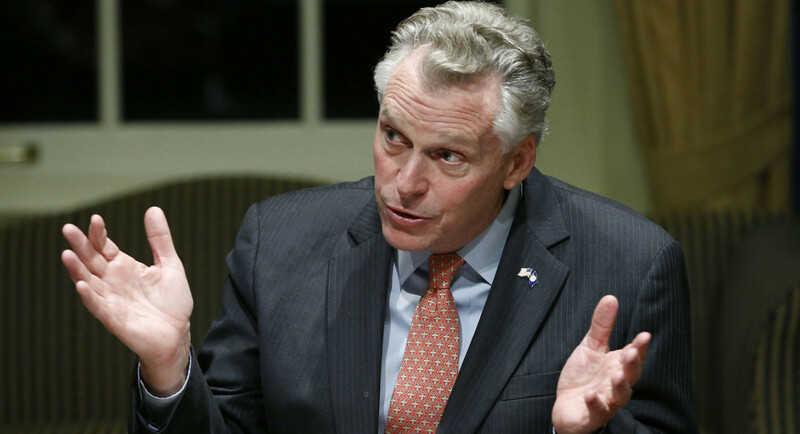 Virginia Governor Terry McAuliffe fired a shot at the core of the American way of life. People always think that the first amendment gives freedom of expression freely, even if the content of the expression is unpopular, and even sounds offensive or rude. People often say, "I do not agree with you, but I swear to defend your right to speak." In the past, many people agree that this is our law to defend the values. But in recent months, the situation is changing. Scholars have repeatedly stressed that if some of the specific words together, and then thrown out to attack others, will be regarded as "hate speech (hate speech)". And they pushed through a large number of laws to protect the poor and the weak from such attacks. 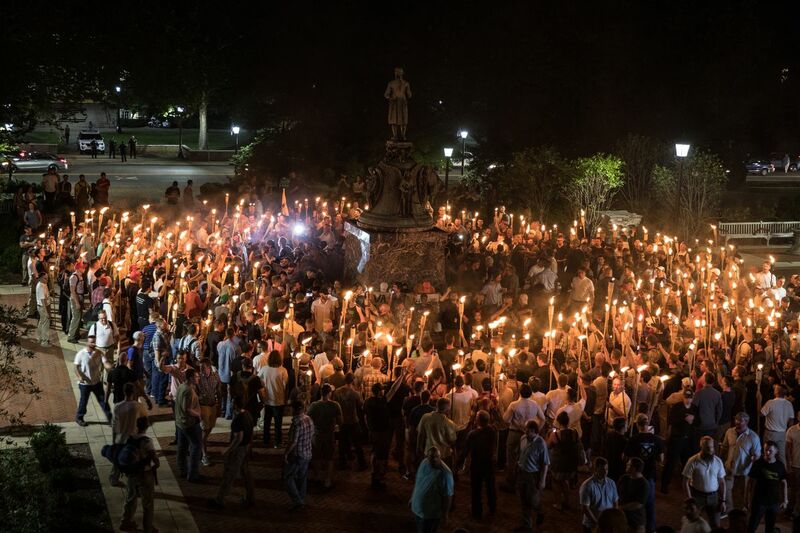 When a group of different white people gathered in Charlottesville (Charlottesville), their intention is only to protest the city of Charlottesville to tear down the statue of General Robert Lee. General Lee was one of the leaders of the Confederation. These protesters believe that the city government collusion with the parties to tear down the statue just to achieve a purpose, that is to destroy the identity of the white. The event organizers carefully studied the city government, the state government and even the federal red tape, with the support of the American Civil Liberties Union to win a lawsuit. They also plan to publish a series of speeches and parade. Unfortunately, the speeches and the demonstrations were not realized, and they were destroyed by the people who claimed to be anti-fascist (Antifa). Antifa and a group of liberal joint operations, at 10 am on the influx of the original planned parade. After the occupation of the venue, began to defend the defenders of the general abuse of Li, and even the defenders throw items and even urine. At 11:40, before the planned march began, the governor declared that the confrontation in Charlottesville was defined as state state of emergency and that military martial law began in the area. To know that the governor had supported the demands of these people. After the announcement of the state of emergency, the police quickly approach, will gather to disperse, forcing participants to give up their rally has not yet begun, trampling their position, hurt their personal property. Many people did not expect the governor to be capricious, so was arrested. This is a perfect case of "heckler's veto". The so-called questioner veto, that is, when you do not agree with the speaker's point of view, you use some "means" to let them mute. In Charlottesville, Antifa and the liberals seized the protesters' reservation site, violating the rights of the protesters to express their personal views by means of violence.This torn the American utopian lies. Indeed, some protesters are extremist, and their words and deeds are both provocative and controversial. But Antifa appearance is certainly the main reason leading to the situation out of control. Governor McAuliffe unilaterally engaged in democratic protests and prevented people from expressing different opinions. This trampling on the spirit of the Constitution in our government to exercise authority! The slogan of the Washington Post is the death of democracy in the dark. On August 12, our country appeared dark, and democracy had gone on the way to death. So what will this conflict go from? Neither side wants to retreat. National Socialism traditionalist workers' party leader Helmachbach declared that this was not the end, it was only the beginning. He has made it clear that we will not retreat and have been planning a greater parade. The United States is gradually becoming a battlefield, a variety of ideologies will usher in a decisive battle, this war will determine the country's future. Once the struggle will return, nationalism, Marxism, the protection of tradition, the revolutionary movement ... ... everyone is guessing in the end who will win. The leftists grew up under the cover of media, academia and various interest groups. 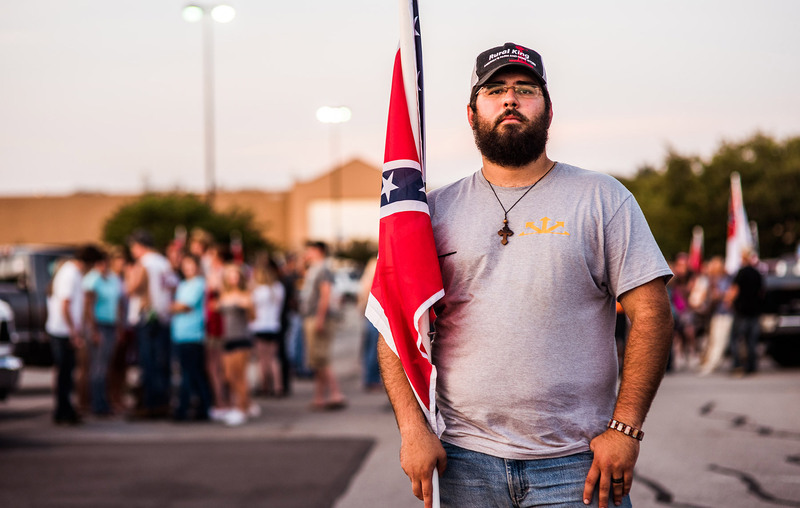 The right-wing groups inherited the glorious traditions of the fathers, and formed militia groups in various places. The winner can reshape the country with his own ideology. Who do not know who will win the final victory. But one thing is yes, that is, the constitution is dead. When a great thing happens, a lot of people are not aware of it. But after a few years later people look back, you will find the first in Charlottesville quietly fell to the ground. And the death of the Constitution will undoubtedly affect the future of the United States and the international situation for decades. The MCA, the League of Women Voters and the Fairfax County Council of PTAs host a candidate forum for the Fairfax County School Board special election. The public is invited.